The FINANCIAL -- Increasing demand for travel insurance and its development are one of the key tasks of Aldagi Insurance Company for the year 2014. Sales numbers of travel insurance packages increased by 40 percent in 2013, while just 20-25 percent of airplane passengers in general used travel insurance in Georgia, according to Aldagi. Travel insurance is intended to cover unforeseen medical expenses, the financial default of travel suppliers as well as other losses that can be incurred whilst travelling. Aldagi not only caters for Georgian customers travelling abroad but also offers insurance to foreign travellers that are visiting Georgia. There was 100 percent growth in sales of their incoming travel insurance package in 2012 and 2011. “We would very soon like to see all citizens of Georgia covered by travel insurance before leaving the country,” Nutsa Koguashvili, Deputy General Director at Aldagi Insurance Company, told The FINANCIAL. “Travel insurance is one of the priorities of Aldagi and we are paying a great deal of attention to the development of this direction of insurance in Georgia. Financial stability is very important while being abroad. Nowadays just 20-25 percent of airplane passengers use travel insurance and the rest of the passengers travel without insurance, which is unacceptable. Insurance is a relatively young industry in Georgia and people are not used to use its different products. People sometimes do not even remember how many useful insurance products there are that can be provided for them, including travel insurance. Georgians do not like thinking in advance about potential negative outcomes. And lack of awareness of the product itself is the third reason why Georgian customers are so passive in purchasing travel insurance. Travelling abroad and going away in general is a big pleasure, and should not be spoiled by unpleasant surprises,” she added. Any emergency medical service which might be needed by the insured customer when travelling abroad will be covered by the travel insurance. The limits of the liability are quite high - EUR 50,000 in many countries of Europe, USD 15,000 in Turkey and CIS countries. The travel insurance policy covers the cancellation of the trip as well as baggage delay. “If our insured passengers are forced to stay at an airport because of a trip’s cancellation then we provide for their hotel stay. In such an event the airport might take care of this issue, but for a more comfortable stay we recommend people use our travel insurance. Aldagi’s travel insurance also includes baggage delay cover. When passengers receive their baggage late they are forced to buy certain necessary items until their own ones arrive. This means that they have to spend money. We offer them travel insurance to prevent them from incurring such kinds of extra expenses,” she said. Travel insurance policies can be purchased at a variety of locations. The procedure is quick and easy, one just has to present their passport and wait for 3 minutes until the policy is ready. “Travel insurance is so cheap that people really should always choose to use it. For a 1 week journey passengers can buy a travel insurance product for just GEL 7. The price is so low that there really is no reason to travel abroad without travel insurance,” said Koguashvili. 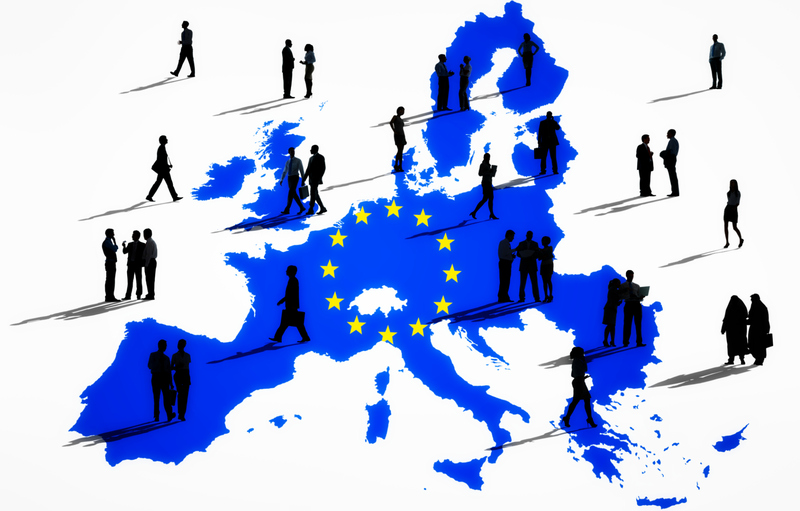 Aldagi is providing organizational assistance within the help of its partner Europe Assistance. Nowadays, ambulatory emergency care is the most frequently-used service within the framework of travel insurance. The consulates of many EU countries require people traveling to their countries to get travel insurance first. Due to this reason demand for travel insurance has been increasing in Georgia, said Koguashvili. But the fact that travel insurance is not obligatory in Georgia and several consulates do not require it, means that in many cases people are lazy about using this product. As Koguashvili says, this is slightly hampering the development of travel insurance in Georgia. “Many consulates still do not require travel insurance. However, Aldagi is growing stably. The sales of travel insurance are increasing by 35-40 percent every year. This is linked to the economic growth in the country. If the income per capita is not increasing then the number of passengers will not increase. The economic development of the country of course affects travel insurance positively,” she said. Q. Aldagi also provides travel insurance for incoming tourists. As they already have their own countries’ travel insurance, why would it be necessary for them to purchase Aldagi’s travel insurance in addition? A. When discussing travel insurance products it is very important to highlight incoming travellers’ insurance. Of course the majority of tourists in Georgia are already insured and are covered by the policies of insurance companies from their own countries, but problems regarding organizational issues often arise while travelling in Georgia. Tourists do not know where to call, whom to apply to with a request for help. As opposed to other countries Georgia is still not integrated with insurance systems and foreign insurance companies are not experienced in how to manage medical cases in Georgia. We provide such organizational assistance. Q. How has the company contributed to the development of not only its own products but the entire market as well? A. As Aladgi is the leading insurance company on the Georgian market we feel a responsibility to contribute not only to developing our own company, but the whole industry as well. Together with our competitors we aim to make insurance products more reliable for Georgian customers and more diverse too. As Aldagi has the biggest market share and the strongest sales team in Country, industry development equals our development at the same time. We are bringing the culture of insurance to Georgia. Aldagi was the first insurance company to be founded in the Georgian market, back in 1990. Since then it has been the leading insurer on the market. Accordingly it is normal that it is Aldagi that is the company which has bought all the products to Georgia. All the products which are now available on the Georgian market were introduced by Aldagi. It is the leader’s mission to be always an innovator. Our new product - Pet Insurance, is also an innovative product which will have its analogues in our competitor insurance companies in the future. We always welcome the fact that products which we have introduced are adopted by other companies. Travel insurance is linked to health insurance and its development contributes to the development of travel insurance as well. Q. What is the policy of Aldagi in terms of cooperating with its partner travel agencies? A. The most important channel of travel insurance is travel agencies. Aldagi cooperates with more than 300 travel agencies in Georgia and out of them about 200 travel agencies are our exclusive partners. We offer a grant programme for them - if our partner travel agencies provide a business development plan we finance it. For them, cooperating with Aldagi is becoming more profitable. Those who sell the most travel insurance products of Aldagi Insurance Company are encouraged by us. InterContinental, Travel Club, Via Travel, Berika International, Global Travel, VIP BTC, Travelland, Horizont-Air, Capitan +, Levon Travel, PGS international limited, Dubai.ge, All Tours, Silk Road Travel and Turi.ge are the main travel agencies in Georgia which are our partners.